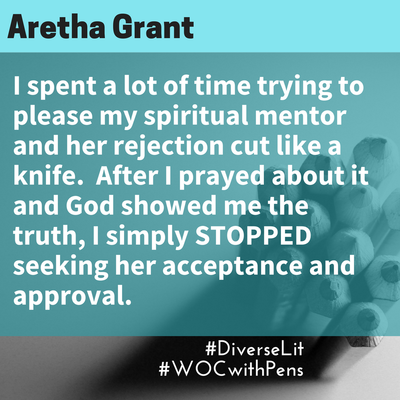 "If #WOCwithPens truly wants to impact the world with unique voices of color by Christian women, it needs to be categorically devoid of viewing WOC as a project because that is hurtful and unloving. It won’t matter whether you see us as unique or not. It runs into the area of tokenism and that is shaky ground. 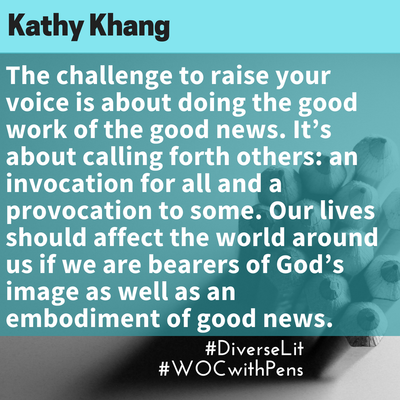 I think being intentional about bringing together a community of Christian WOC who could share their stories, inspire each other, find each other but also meet publishers, readers and collaborate is crucial. Likewise, having to talk about race, identity, and diversity rather than our own work and interests becomes trite. Instead, I think we ought to focus on the writing, the mediums, the genres and themes that celebrate artistic excellence." 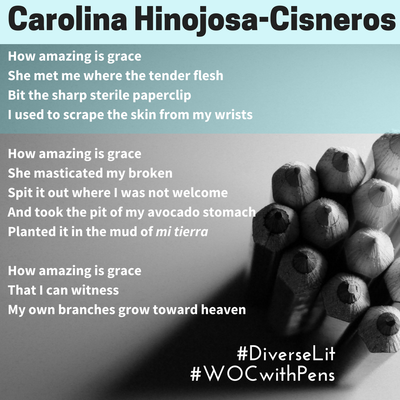 #WOCwithPens is an attempt to create more intentional space for the work of talented writing from Christian women of color to be recognized, reviewed and widely read. In an ideal world, this hashtag wouldn't need to exist. 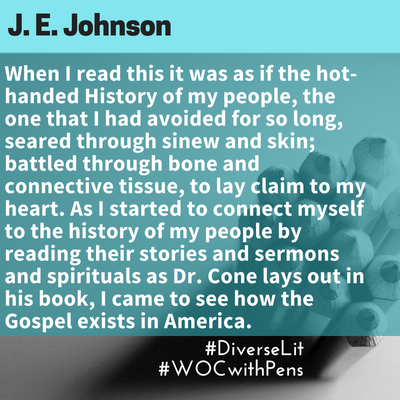 However, whether intentional or not, cultural bias impacts many areas of our lives, including the books we choose to buy and read. Should WOC work get highlighted every day, all the time? Yes. But the reality is that it isn’t. 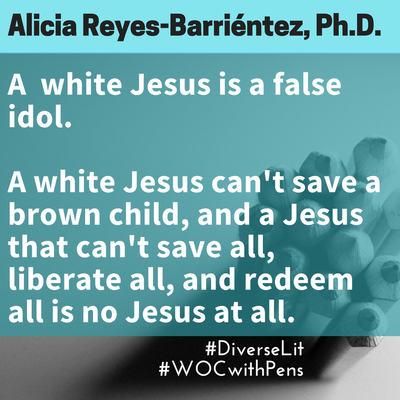 The reality is that many white writers are unaware of the excellent work WOC produce, and also unaware of the even harder path writers of color must navigate to get articles and books published in mainstream Christian media. People say the table is big enough for all of us to get a seat. 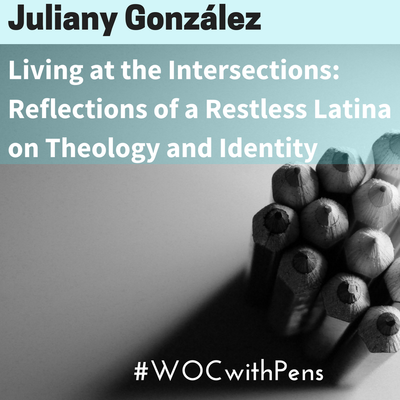 We recognize that even if that is so, access to the table is limited by systemic sin. 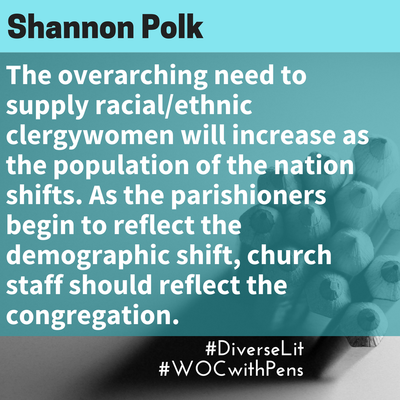 We lament this reality, and wholeheartedly agree with Erendira, Helen, Sean, Chimamanda, and Helen again—that there must be more demand and supply across the board for such material, and we recognize that change will take strategic intentionality, and a groundswell of support—including yours. 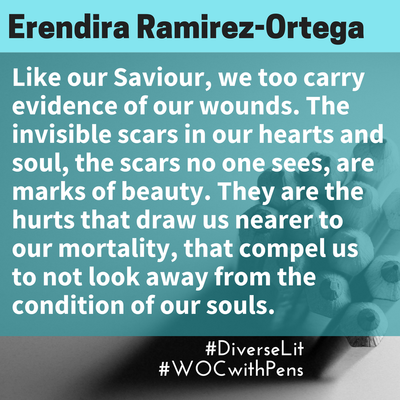 to promote already-published content by WOC. 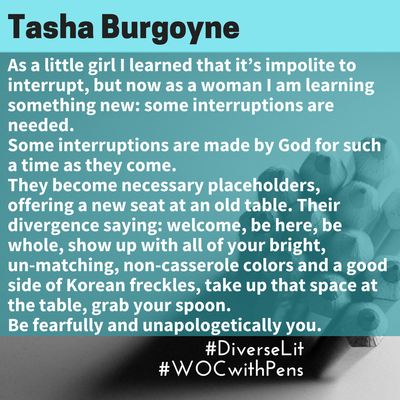 to intentionally promote potentially-publishable content to publishing venues and potential speaking engagements to conference venues by connecting female writers of color to the venues that best fit with their genres of writing and areas of expertise. 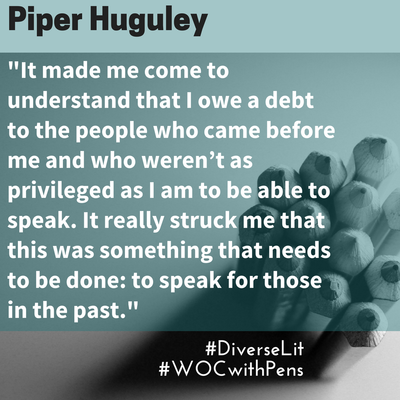 In other words, we're not including them simply because they are WOC, but because their inherent talent, knowledge, and willingness to share affords them an opportunity at the table. 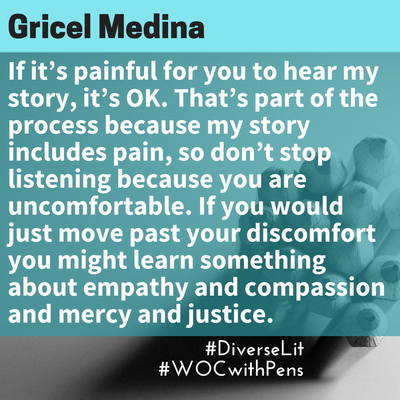 to give space on our own blogs for WOC to share their stories and their writing journeys—not to fill a quota or get the [insert ethnicity] perspective, rather we make space for their authenticity and reject the all-too-common ways in which many WOC must tailor their writing to the space offered. 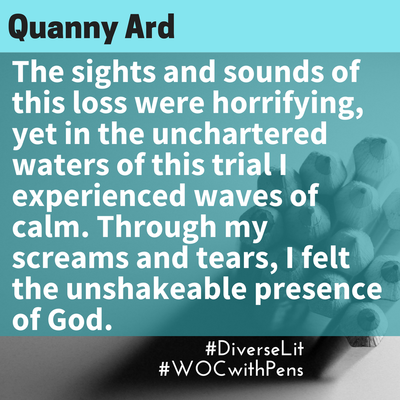 We make space for their powerful, entertaining, transformative, engaging, and beautiful stories. 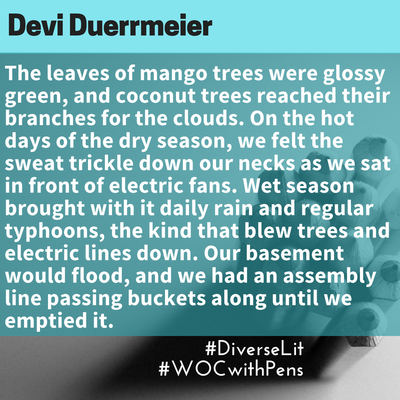 to read AND review #diverselit —the secondary hashtag we'll use— by WOC, both fiction and nonfiction. 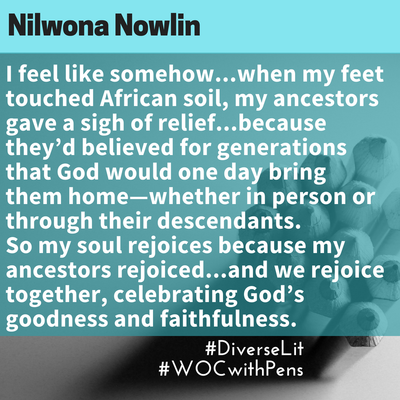 Do WOC writers depend on us to do this? Absolutely not. They are capable, talented, and amazing without us. 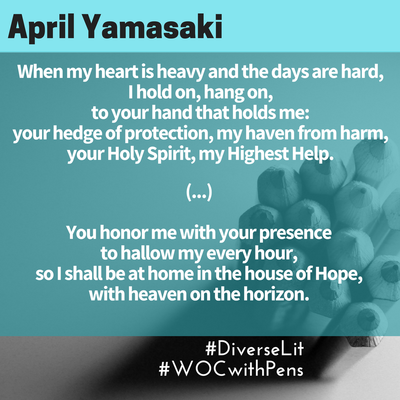 We do this for the sake of greater unity among Christian female writers, and a communal understanding that when one of us is lifted up, we all are. 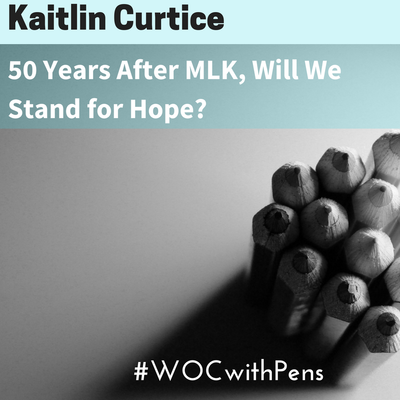 We take on this responsibility because we know what great work our sisters of color can and do produce, and we want the rest of the world to know it, too. 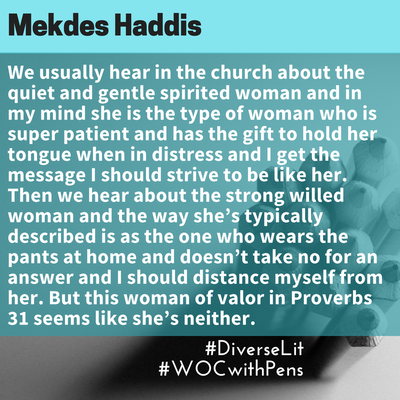 The tension between coming off as white saviors and actually promoting our sisters of color is not lost on us. We recognize that this may be seen as white god complexes; but we will be intentional about our own self-reflection in this, and we welcome constructive criticism if this becomes a reality. Can others not on the list below join in? Absolutely. This is not meant to be an exclusive Twitter campaign. 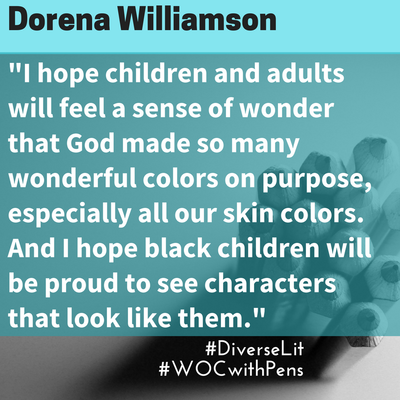 While we, who launch the initiative, are majority white and want to ensure that we are active and regular participants, so that our readership become acquainted with and supportive of WOC, we are encouraging everyone to participate, including writers and readers of color. We'd love to see book & article publishers join in as well. 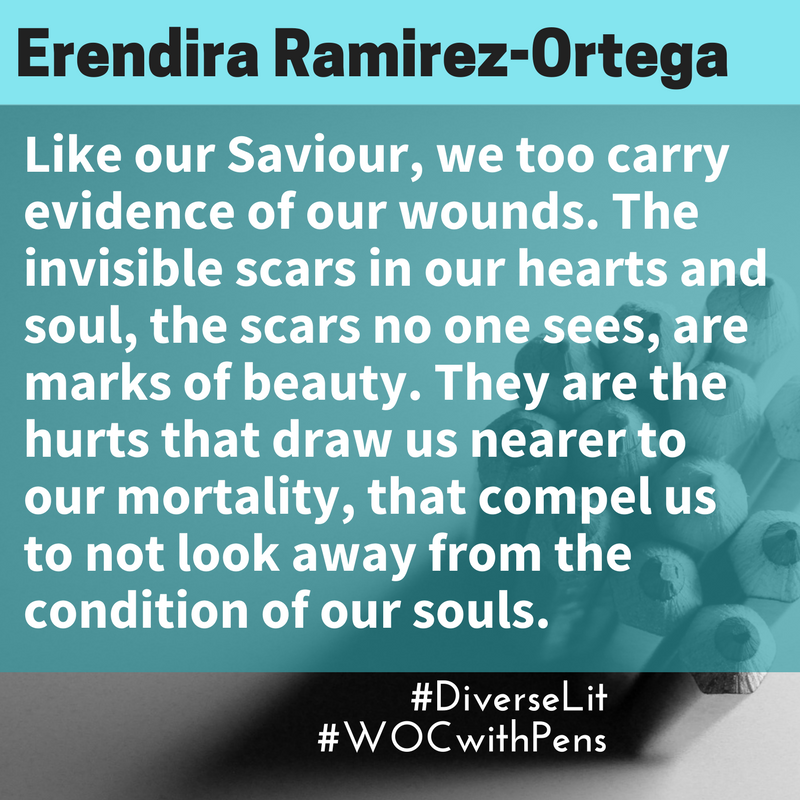 Ultimately, we hope the use of our chosen hashtags #WOCwithpens and #diverselit will be viewed as ways to celebrate works of all kinds. 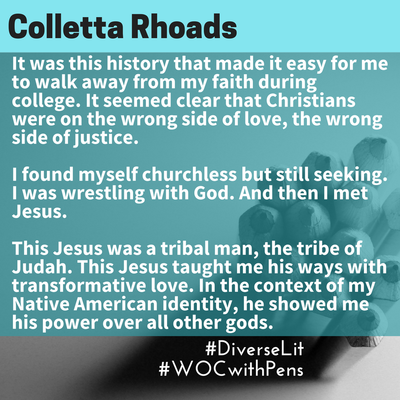 As white Christian writers (and readers), we recognize we need to be vigilant about our own tendencies to homogenize the content we consume. 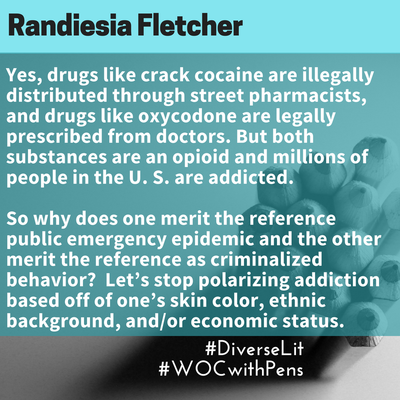 Lastly, the end goal is more demand and appreciation for #diverselit, and for systemic change that recognizes and supplies such demand.